Below are five quotes from the ancient Chinese philosopher Lao Tzu, author of the Tao Te Ching. Please consider them first for their beauty and their applicability to any human being. I will then suggest ways in which they relate to the person recovering from Borderline Personality Disorder. 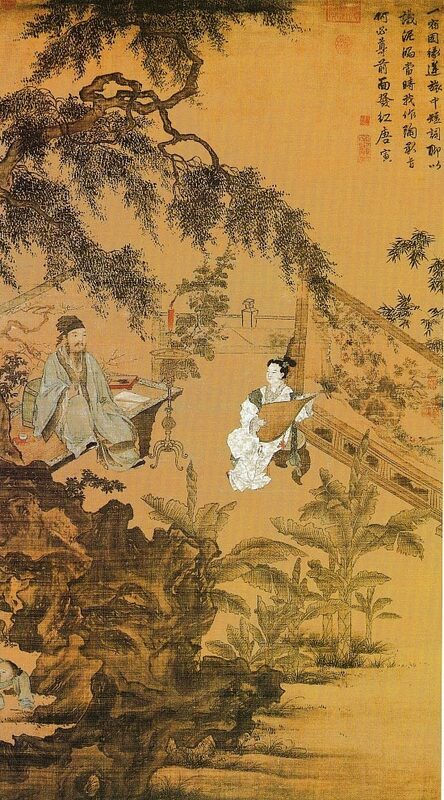 Lao Tzu was probably an amalgam of several Chinese philosophers from the early centuries BC. 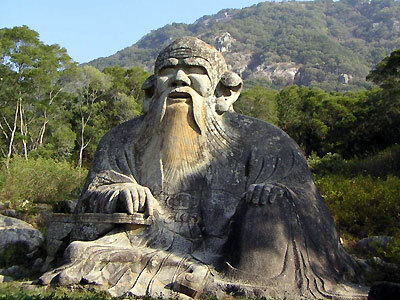 As a symbolic figure, he is regarded as the father of the religious and philosophical movement called Taoism. 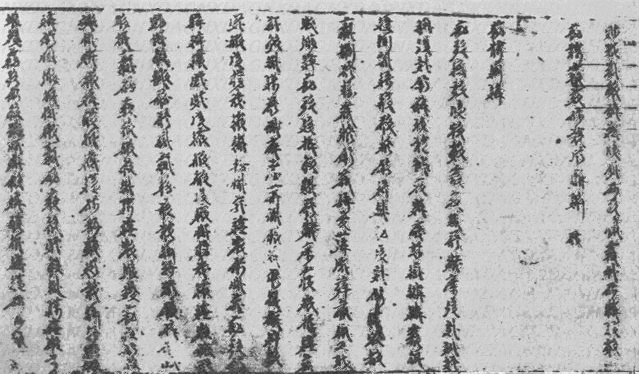 Some fundamental ideas of Taoism include: feeling contentedly at one with the “Dao”, which is an unseen, transcendent force flowing through all things; reaching a state of freedom from earthly desires called “wu wei”, which can be translated as “flowing with the moment” or “not acting”; and a return to nature. Taoism’s emphasis on inner peace make it an interesting philosophy for people with borderline issues who need to develop self-comforting capacity. This first quote implies the reason why borderlines feel emotionally weak. They do not feel truly loved, nor can they trust other people deeply. Being dependent on and vulnerable toward another human being is the most crucial experience a borderline needs to grow emotionally. It is trust in another person that leads to feeling deeply loved. This was described in the phase of “Therapeutic Symbiosis”, in article #10 on this blog. I can attest that feeling loved as a person was the critical ingredient that helped me become non-borderline. It was a feeling I first reached in psychotherapy and secondarily with several trusted friends. After one feels loved for oneself, one can then love others, and this gives courage. Loving someone else deeply makes one feel that one is truly alive, that nothing can stop you. It lessens the fears of failure, aging, dying, and unfulfilled potential. This is a lovely quote, but again not something that borderlines start with – they don’t know who they are. But at the center of their being, they have the answer – their innate desire to get better, to be loved, and to feel fully human. This again relates to quote #1. Love, trust and dependence on other people is the simple answer to the question: What allows a healthy child, or adult borderline, to grow and become emotionally healthy? Finding the answer to this question allows borderlines to develop a personal identity, to know who they are and what they want. After my abusive childhood, the awareness dawned on me that I fiercely desired to be loved and cared for. Following this desire led me to attend psychotherapy and support groups, to make new friends, and to take risks. These resources allowed me to grow into an individual with an identity, to know who I am and what I want. It’s really true what Lao Tzu said – in my heart I always knew what I needed to get better. The challenge was taking the risks, fighting through fears, and overcoming psychic defenses to reach human help and love. This quote is attractive in the simple self-acceptance it implies. In my late teens and early 20s I hated myself. On the one hand, I felt pressured to achieve in academics, sports, and work so that others would like me. On the other, I believed my personality and appearance to be unlikeable and unattractive, and so never felt genuine or spontaneous. Instead, I was always trying to mold myself into what other people wanted. How different I am today! I’m not afraid to say what I think, and don’t adapt myself for anybody. I am what I am, and if people don’t like that, too bad. I take delight in being myself. This quote represents the ultimate ideal of self-acceptance that human beings, including borderlines, can aspire to. Like the snow goose which is naturally white, you don’t have to do anything to be yourself. Again, to approach this ideal, borderlines need the experience of being loved and accepted by an outside person, so that they can adopt the same attitudes toward themselves. In article #15 on Gerald Adler, and in article #10 on Seinfeld’s four phases, it was discussed how self-acceptance – based on internalizing and believing the positive support of another person – is crucial to becoming non-borderline and developing genuine psychological stability. This obvious but humorous quote really strikes home. It reminds me of the old-timers in my 12-step group who used to say, “If nothing changes, nothing changes,” and “Doing the same thing over again and expecting a different result is the definition of insanity.” Hard experience has taught me that transforming oneself – while very doable – requires a lot of work and time, plus a willingness to take risks and try new things. Radically changing one’s emotional status quo is not comfortable, but it’s much better than stagnantly staying in an unhappy place. 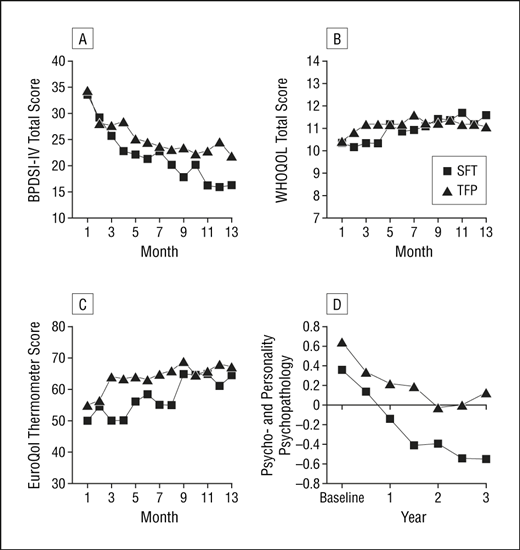 This was discussed more in post #14, about how risk-taking promotes recovery in BPD. This is true wisdom! A wise person understands how complex, ambiguous, subjective, and unpredictable the world is. Therefore, they don’t try to predict exactly what will happen to themselves or others. While it can be fascinating to make predictions, such predictions, especially about mental illness, ultimately demonstrate a lack of knowledge. If prognosticators appreciated how people are extremely “complex” systems (influenced by many unpredictable sources of input) rather than “linear” systems (influenced by a limited number of clearly known variables), they would show more restraint. I learned much about this subject from reading Dan Gardner’s book Future Babble. Two of his points stand out. First, the statistical study of past predictions made in various fields, including economics, politics, sociology, medicine, etc. indicate that the more certain someone is about a given prediction, the more likely they are wrong. Gardner thus warns the reader against trusting people who seem very sure of their predictions. He argues that those who think about a range of possible outcomes and speak in terms of ambiguity and uncertainty are more likely to be correct. Second, Gardner showed how astonishingly quickly predictions can go wrong if even one factor inside the complex system unexpectedly changes. For example, with the weather, if the moisture level, cloud cover, wind direction, or one of dozens of other factors shift slightly, the whole outcome can totally diverge from the original prediction. 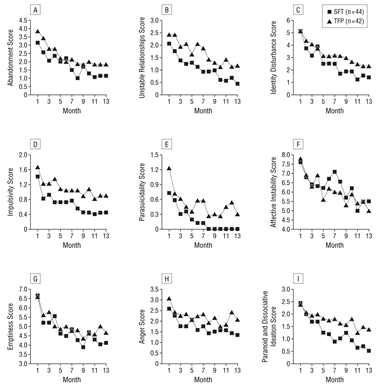 This is why human life courses are so difficult to predict over the long term. Human beings are not balls rolling down a hill whose paths can be precisely laid out! 🙂 They are complex systems like the weather, subject to millions of influences that we cannot map out in advance. 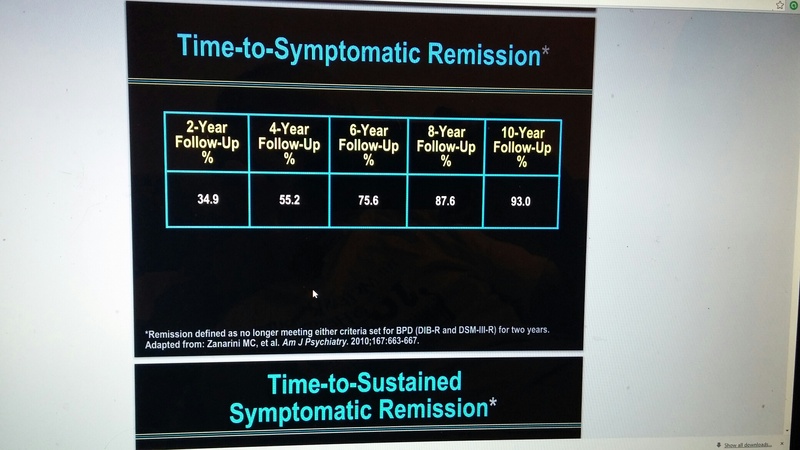 I have no respect for therapists who try to predict the outcome (via a “prognosis”) of people with Borderline Personality Disorder. Human emotional problems are way too complex to be medicalized like a physical disease. How someone does emotionally depends on literally millions of personal and environmental factors. Thus over the long term, we can only suggest factors that tend to promote success or hinder progress, while remaining humble about our lack of foreknowledge. 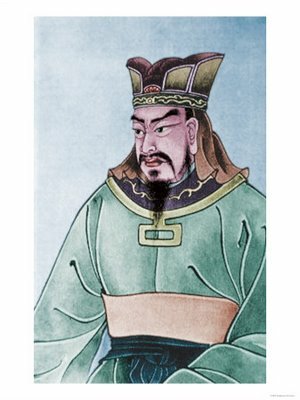 Sun Tzu was a Chinese military general and philosopher living around 500 B.C. 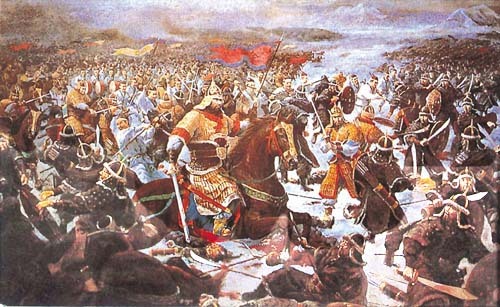 during a period of warring kingdoms. In this era, rivals groups fought constantly over territory, and survival was a zero-sum game in which hesitation, unpreparedness, and lack of knowledge proved deadly. Sun Tzu recorded many of his strategic military insights in “The Art of War.” His writing emphasized the psychology of how to wage war, especially how to outmaneuver one’s enemy by understanding his emotional strengths and weaknesses. Sun Tzu believed that both objective (e.g. the physical landscape; the resources of each side) and psychological (e.g. the enemy’s mindset) considerations needed to be taken into account when conducting a military campaign. Sun Tzu emphasized that a military strategy was not a fixed, unchanging list of actions to be followed; rather, the reality of war dictated that conditions and thus strategy constantly evolved. This meant that leaders had to be ready for the unexpected situations that arose when their plans interacted with the enemy’s plans in unpredictable ways. As I recovered from BPD, this insight helped because it indicated that if I did not plan ahead, I was unlikely to prevail in the long multi-front war against BPD. 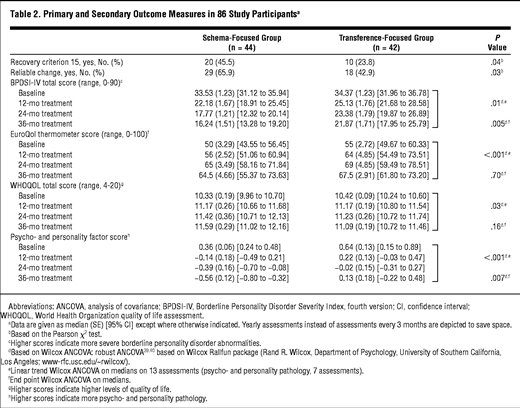 I had studied many books about BPD, seeing which patients improved and which did not, analyzing which factors promoted recovery and which hindered it. I plotted out a rough plan to overcome Borderline Personality Disorder in an analogous way to how a general calculates a military strategy. From my reading, I knew the primary goal was to develop dependent, supportive relationships in which I could be “reparented”. This process would develop the positive self-and-object units (see article #9, “A Fairbairnian Approach to BPD) and develop healthy ego functions to eradicate the borderline symptoms. I also knew that medication was ineffective at achieving these goals and so I stopped taking it, as indicated in article #13 on medication. Instead, I researched psychoanalytic-psychodynamic therapists and found one who had experience and success treating borderline conditions. I started going regularly to therapy and continued for several years. To supplement this supportive relationship, I attended 12-step groups and developed friendships with people like Gareth, the older man who helped me work through my childhood trauma as described in Article #2. I was quite conscious about working to trust and depend on other people, because my research and experience indicated that it was only through building long-term positive relationships that I could recover. So I had a long-term plan, and it worked. Today I enjoy my relationships, am successful in my work, and have no remaining borderline symptoms. Like the general in SunTzu’s quote, I made many calculations in the “temple” of my mind before beginning my battle against BPD in earnest, and they led to victory. This quote is similar to the first. It could be viewed as a bit arrogant and presumptive to apply this to BPD. In truth, I did not know for sure that I would recover, or exactly how things would work on the journey. What Sun Tzu probably means is that the successful general is better informed than most people from the outset– in this case, about the terrain, the psychology of the enemy, the enemy’s positions, strengths, weaknesses, and how to engage him. He studiously prepares in order to know as much as possible about what is likely and how the enemy might act. It doesn’t mean the general is clairvoyant and can see the future, because as indicated in Lao Tzu’s quote about prediction, that is impossible. But the general plans for a range of scenarios and is as well-informed as possible. As indicated in other posts, education about BPD and how it is effectively treated is crucial. To me, knowing a lot about BPD and how others recovered from it is the closest we can come to “foreknowledge” about what facing BPD will mean for us. I benefitted greatly from studying many books, talking to therapists, and reading websites and blogs about BPD. Educating oneself is in my opinion the “wise” thing to do with BPD and it provides a better chance of getting the results you want in recovery. This is another similar quote to the first two. It is of course simplistic to apply these quotes to a complex emotional condition, but it can be inspiring and motivating. Knowing “BPD” means understanding how the condition works in depth. Borderline defenses like splitting and projection are initially powerful, tenacious, and deceptive mechanisms. It is useful to understand how they work, and I intend to write future posts on how splitting and projection/projective identification operate. The early part of “knowing yourself” when dealing with BPD, in my experience, was understanding how defenses based on past trauma (“the enemy”) were constantly coloring how I viewed the external world. They tricked me into distrusting and rejecting other people’s help, since I misperceived everyone in my present day world as untrustworthy like my father. With a better understanding of how my mind was working, I felt more confident in stopping my defenses from recreating past trauma in my present day life. Although I didn’t win every battle at first, I felt more confident about defeating BPD in the long term. This is more relatable to BPD than one might think. The “strategy” of defenses in BPD is that they cause a person to negatively distort the external world, tragically recreating their traumatic past into the present. It renders the borderline unable to take in support from other people in sufficient quantities to develop a healthy sense of self. 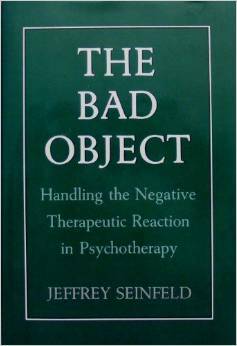 In Article #15, Adler described the necessity of confronting psychic defenses which “block” the development of positive introjects, and in Article #10 Seinfeld analogously described how the bad internal object situation prevents the borderline from internalizing the therapist as a positive new person. Although it’s a bit simplistic, and to repeat from the last quote, these defenses which “trick” the borderline into rejecting human help are “the enemy.” When I was borderline I had two selves – a “healthy” self which wanted to trust others and get better, and a “trauma” self which was emotionally frozen at the time of my physical abuse, distrusted others, and refused to believe that people cared. I became able to track the operation of the “trauma” self and to reject its deceptive attempts to make me distrust others. I did this by understanding how splitting and projection pulled the wool over my eyes, so that I perceived emotionally only peopl’s negative aspects and refused to take in their good sides. I countered this tendency by putting myself in more and more “good” situations like therapy, 12-step groups, and with supportive family and friends. Over time, I began to find more and more of the good in other people and in myself. Eventually others’ good intentions started to break through my resistance. I gradually learned that truly good people did exist, that it was safe to depend on others, that I was worthy of love, and so on. I attacked the strategy of the BPD defenses which were blocking my progress, and as Sun Tzu indicated, attacking the enemy’s strategy is paramount. I relate this quote to Article #14, “How Risk-Taking Promotes Recovery From BPD.” It’s a bit of a harsh description (poor victim!) but it emphasizes how good decision-making is decisive and timely. In the “Risk-Taking” article, I described how changing therapists, stopping medication, moving home temporarily after college, asking for help from Gareth, etc. were all situations in which I had to take decisive action. Over the years I’ve become more and more decisive about “pulling the trigger” on things that are in my best interest. The way the falcon quickly swoops down on its prey is a good metaphor for the way a tough decision must be made decisively to be effective. There is only a very loose correlation between this quote and BPD, but effective decision-making is important when dealing with BPD or any other serious challenge. This quote doesn’t really relate to BPD. I just put it on here because it sounds cool! I’m a big fan of action movies, spy thriller novels, and adventure video games, and it’s too bad we don’t have Sun Tzu around to write snappy dialogue for them. I hope this article gives the reader a different perspective on how to think about BPD reccovery. There are many useful approaches to healing from trauma, and we should not hesitate to use the insights from many different people and cultures to help us. This entry was posted in Uncategorized and tagged abuse, abuse recovery, borderline personality disorder, borderline personality disorder causes, borderline personality disorder cure, Borderline personality disorder diagnosis, borderline personality disorder recovery, BPD, bpd cure, BPd demystified, BPD explained, bpd healing, bpd hope, bpd recovery, bpd recovery stories, bpd stories, chinese philosophy, dbt, dialectical behavior therapy, eastern philosophy, hereditary BPD, hope for borderline personality disorder, lao tzu, sun tzu, taoism, victims of abuse on May 14, 2014 by bpdtransformation.